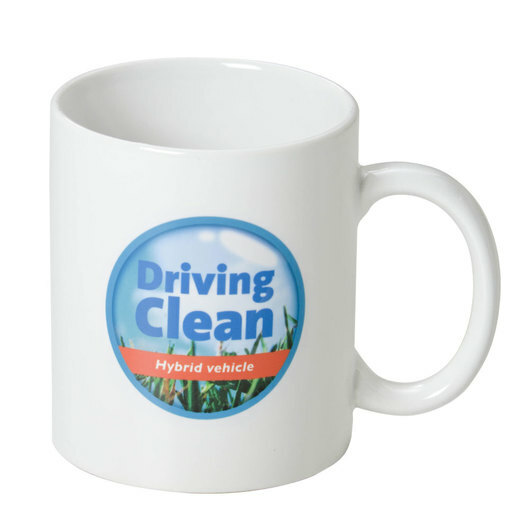 Promote your brand with a tried and tested promotional coffee mug. With a full colour print! There's no need to reinvent the wheel with these popular mugs! The promotional coffee mug is a an effective choice to promote your brand and get your logo remembered. Decorated with a stunning full colour, long life sublimation print these mugs are the go to choice. They have a capacity of 350mL and an easy to carry handle that will make enjoying your favourite hot beverages a delight.